With just one week left until Christmas, Santa Claus made a surprise visit to Talladega Superspeedway to see the progress of the new Turn 3 Oversized Vehicle Tunnel construction site. 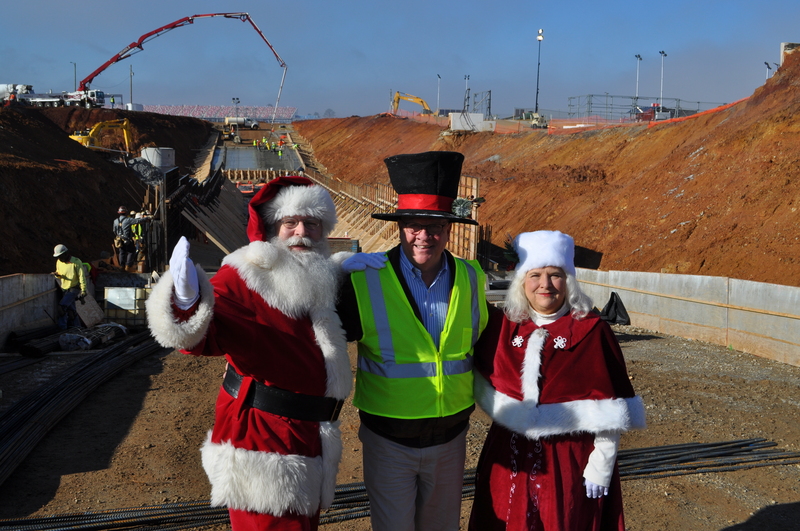 Santa, along with Mrs. Claus, met with Talladega Superspeedway Chairman Grant Lynch to get an up-close look at the tunnel, which is the first development of the 2019Transformation Infield Project. Santa gave the project a jolly thumbs up.